I love Easter! It truly is one of the greatest holidays, isn't it? I mean, think about it... if not for Easter, we would have no reason to celebrate Christmas! It's a big deal! Now, cut out someeggs. If you have a Silhouette, you can use that to save time. You will need enough eggs to go all around the wreath. If desired, you can use some fun printed scrapbook papers, or have your little ones decorate their eggs before moving onto the next step. For this tutorial, we kept it pretty simple. Glue the eggs around your wreath base. Finish up by adding a ribbon for hanging! 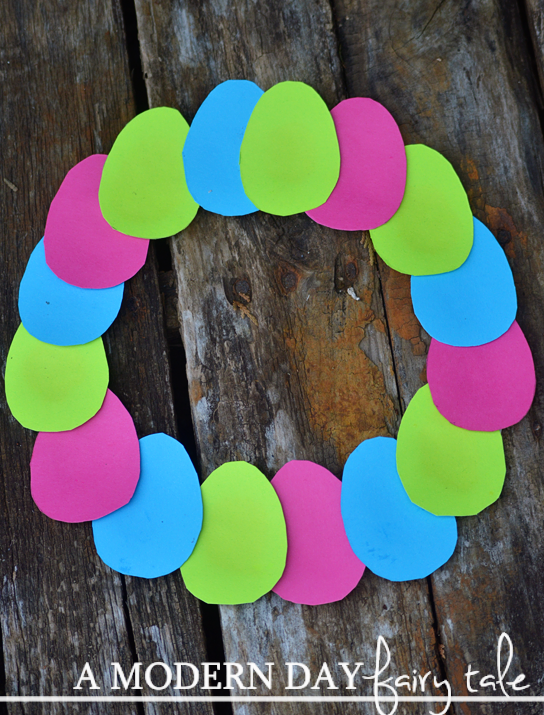 This craft is such a fun and simple way to bring the excitement of Easter to your little ones! That is cute, easy and fun! Thanks. Simple and cute. Thanks for the great idea. How cute! And I love that this is simple enough for young kids to do. 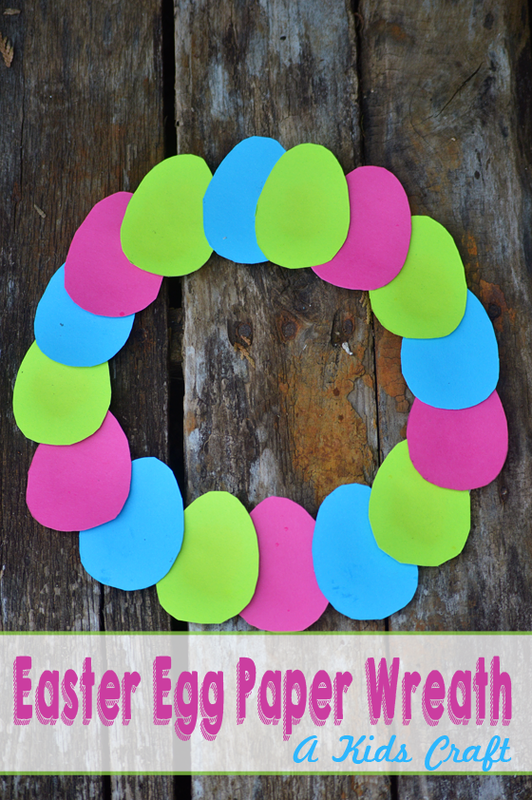 What a cute and fun Easter craft for kids! This is so cute. I'll have to bookmark this craft for next Easter.